The Trade & Industry Group aims to use knowledge and innovation to benefit the future competitiveness and sustainable welfare in the region. By developing and setting up new patterns for collaboration, the Trade & Industry Group strives to make a real difference in the lives of people, business and the region as a whole. Trade & Industry Group objectives for 2021. 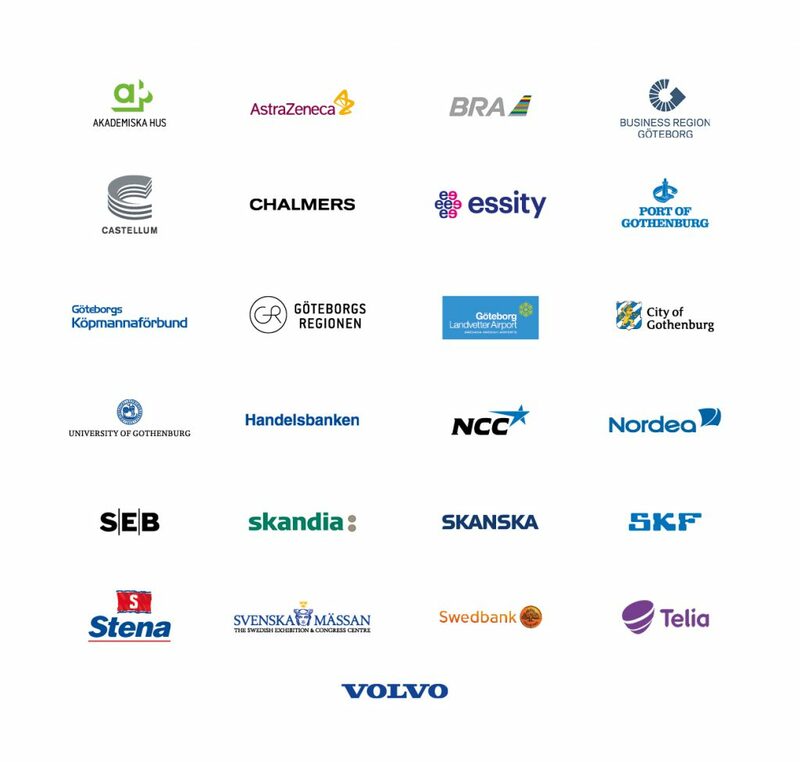 Our mission is to serve as a platform for collaboration between trade & industry, organisations, municipalities and academia, in their efforts to make Gothenburg even more competitive and attractive. Put simply, we will be an active, powerful and long-term resource for enabling value creation and innovation. We will use initiatives and projects to stimulate inclusivity and the long-term provision of skills, in order to contribute to an attractive, dynamic and sustainable metropolitan region. The tools we use for this work are projects and initiatives in knowledge, trade & industry, events and culture. The Trade & Industry Group has members from 25 companies and organisations. 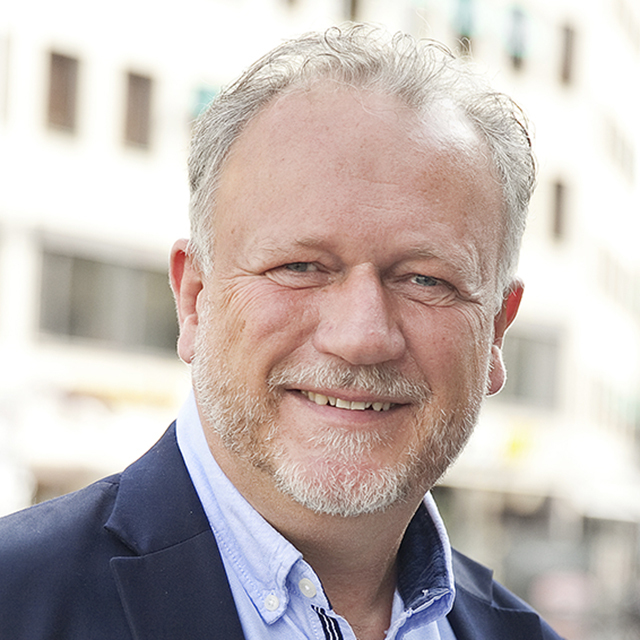 The Trade & Industry Group is involved in and facilitates new projects and initiatives that help to make the Gothenburg region innovative and sustainable. The Trade & Industry Group develops many projects in collaboration with others. We use the resources and skills of the group to enhance the impact of our initiatives. The Trade & Industry Group spreads awareness and information about the various projects we are involved in. The group sets its sights on Gothenburg’s 400th anniversary. Through the various projects we help to raise awareness of the Gothenburg region and its many attractions. Junior Achievement Sweden – the Trade & Industry Group believes it is very important that young people learn about and gain an understanding of entrepreneurship and enterprise. The Trade & Industry Group therefore supports Junior Achievement, which promotes exchanges between schools and industry by enabling young people to set up, run and wind down companies during a high-school academic year. International Science Festival – the Trade & Industry Group is one of the founders of the International Science Festival, which takes place in Gothenburg each year. The festival is an important platform for reaching out and inspiring interest in research and science subjects, as well as creating meeting places for schools, the public and the research community. Student Gothenburg – initiated by the Trade & Industry Group in 2006, this has developed into a massive fresher programme for new students who will be studying at Chalmers University of Technology or the University of Gothenburg. This project is run in partnership with Gothenburg Association of Student Unions, Chalmers and the University of Gothenburg. Gothenburg Culture Festival – the Trade & Industry Group sees Gothenburg Culture Festival as an important event for highlighting and enhancing the diverse range of culture in the city. The Trade & Industry Group is one of the founders of Gothenburg Culture Festival. Skarpt Läge – is a jobs fair for young people aged 18 to 25 who have been excluded from the employment market in some way. All the exhibitors offer jobs, training or work experience. Magasin Göteborg – together with Business Region Göteborg, the Trade & Industry Group publishes a magazine called Magasin Göteborg as a supplement in the business journal Dagens Industri. The purpose of the magazine is to attract innovative people and companies to the region and showcase the diverse range of companies in the Gothenburg region. Future Skills is the new meeting place for Gymnasiedagarna, an inspiring opportunity to find out which skills will be in demand in the employment market in the future. Sports Without Borders is a joint initiative with local sports associations that introduces leisure activities into school sports lessons in particularly vulnerable areas. It gives children and young people the opportunity to try different sports and inspires them to use their leisure time more meaningfully. Gothenburg International Film Festival is the largest film festival in Scandinavia and was first held in 1979. Göteborg & Co and the Trade & Industry Group support Gothenburg International Film Festival in its ambition to become even more international in scope, in readiness for Gothenburg’s 400th anniversary in 2021. 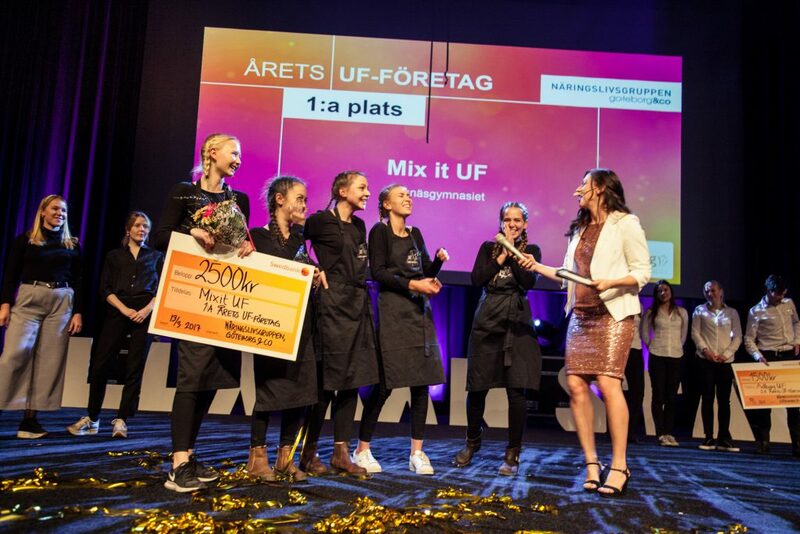 Gothenburg Company Prize – each year the Trade & Industry Group awards the Gothenburg Company Prize to successful companies that are run and developed in the Gothenburg region. This is done to inspire enterprise and showcase the innovative and creative side of Gothenburg. Start-up events – during the year the Trade & Industry Group has been involved as a partner in several start-up and venture capital events that allow investors to meet entrepreneurs – Connect2Capital and #gbgtechweek. Send your project description to naringslivsgruppen@goteborg.com or contact us for more information.